After today, you and I will have very few secrets. The recipe I’m sharing this morning is nearest and dearest to my heart and is one that I’ve been savoring for years- my Mimi’s frosted sugar cookies. Every Christmas, for as long as I can remember, my Mimi would make these frosted sugar cookies. Sometimes I’d join her at the counter to watch her roll out dough. Tediously, she’d flour her surface, then the rolling pin. I’d tinker with her copper cookie cutters while she trimmed the dough and placed the shapes on cookie sheets. While the kitchen warmed from the heat of the oven and the scent of butter and vanilla, I’d pick at remnants of dough, nibbling on whatever was stuck to the beaters and the bowl. We’d then gather around the table, some of us eagerly and others by the hair, as racks of bare cookies were placed in front of us. Bowls of green, red, yellow, and white frosting came next, and we’d all dive in with our butter knives to begin frosting. The thirty minutes that followed is a blur of sprinkles and licked fingers, and by the time all of the cookies were frosted, the icing was gone, having been replaced with full bellies and stained hands. We’d nibble on cookies from the freezer for weeks, each one a savoring of the Christmas season and our time together. Now, as an adult, I make these frosted sugar cookies for my own family. I think about the time and the effort it takes, and I remember the years when no one wanted to frost cookies because we were all so involved in our own thing. Still, every year, Mimi made cookies, and I have to believe it had less to do with her sweet tooth and more to do with a desire to create something meaningful for her family. That small act, the baking and frosting of cookies, somehow became apart of our Christmas season, and it’s all because of Mimi. What is the sum of the small acts of love that we share with others? I wonder if, when we get to the later years of our lives, we’ll be able to look back on those tiny things and recognize the difference they made in our families. Will we recall something simple, like a recipe for frosted sugar cookies, and be able to recognize the joy it inspired in the lives around us? Is it possible to pinpoint all of the gold in our story and trace it back to the small, humble seeds that it blossomed from? To the mothers and fathers and Mimis and neighbors who sew into the lives of the people around you, I want you to know that it makes a difference. Your effort, particularly at this time of year, means something and has the potential to deeply impact lives when done so from a spirit of love. Small acts, like a batch of cookies and a few moments around the table, can mark someone so profoundly that, years later, they are moved to tears from the overwhelming sense of love and gratitude that those moments offered their lives. I take comfort in knowing that small daily acts for my own children may slowly be filling their little tanks with love. Maybe it’s the small things that culminate to a life overflowing with abundance. You may already have a favorite Christmas cookie, but if you don’t, I invite you to being enjoying these frosted sugar cookies with your own family. 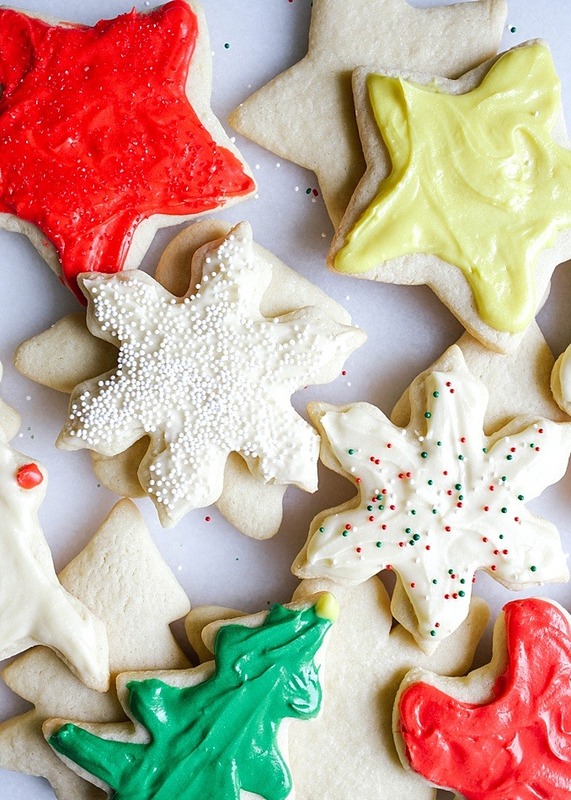 While not perfect or the prettiest or frilliest or most impressive, these frosted sugar cookies are delicious, and will be a recipe that your people won’t be able to keep their hands off of. Promise. To make them, we start with the dough. Butter and sugar are creamed together before eggs, vanilla, and the dry ingredients are added. Once the dough comes together, simply wrap it in plastic wrap and chill to help the dough roll out nicely. 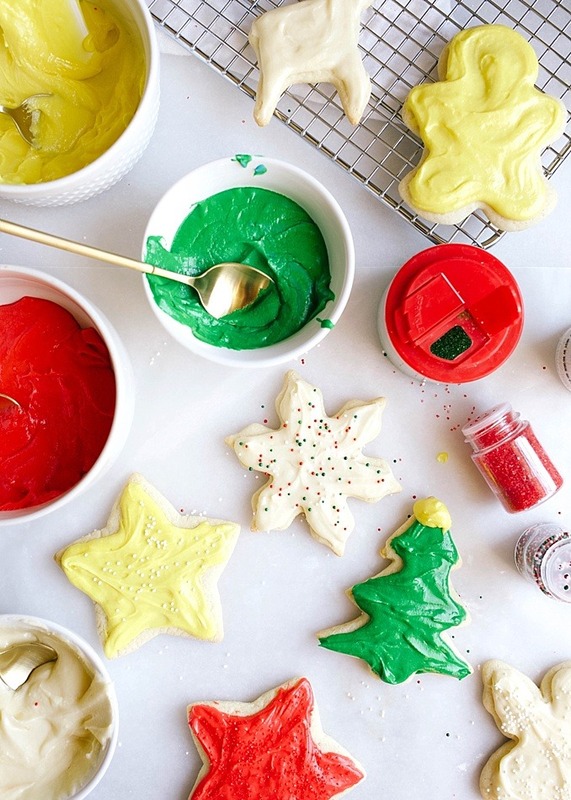 When you’re ready to bake the cookies, use a floured rolling pin to smooth the dough into a 1/8-1/4″ thick slab on a floured work surface and begin to cut out shapes with medium-sized cookie cutters. When your sheet pan is full, place it in the oven until the cookies are barely puffed and set around the edges. This recipe for frosted sugar cookies makes a boatload- nearly 4 dozen. You’ll want an army of friends to help you frost them, so invite all of your favorites over to get the job done. The frosting for these cookies is similar to a buttercream and is the perfect match to the soft and tangy cookies. I use gel food coloring to dye the icing and work at frosting them with a simple butter knife, but you can use whatever tools suit you best. Just have a blast while making them, okay? I’m sharing this recipe today along with some of my other blogger friends who love cookies! Check out the links below for the other ladies involved in this #cookieswapparty . 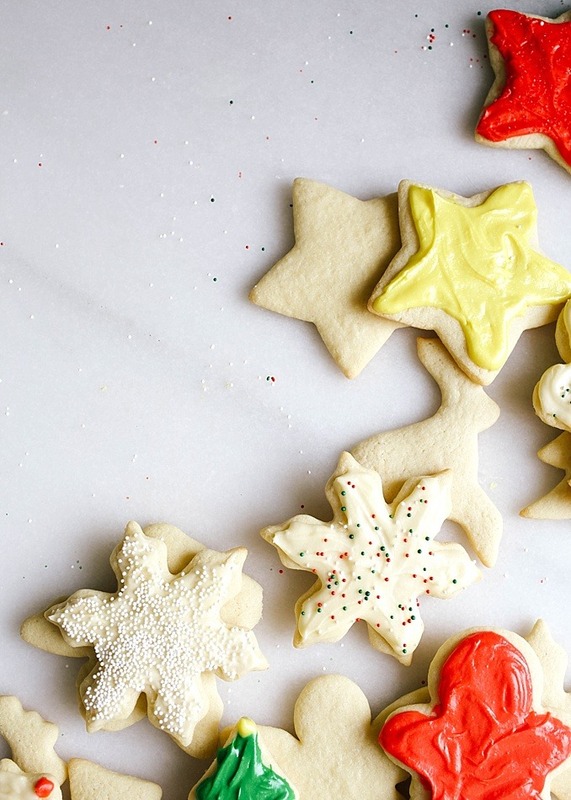 Give these frosted sugar cookies a shot this holiday season and love your people in the process. I think the goodness we share counts for double this time of year, so be generous with your heart. 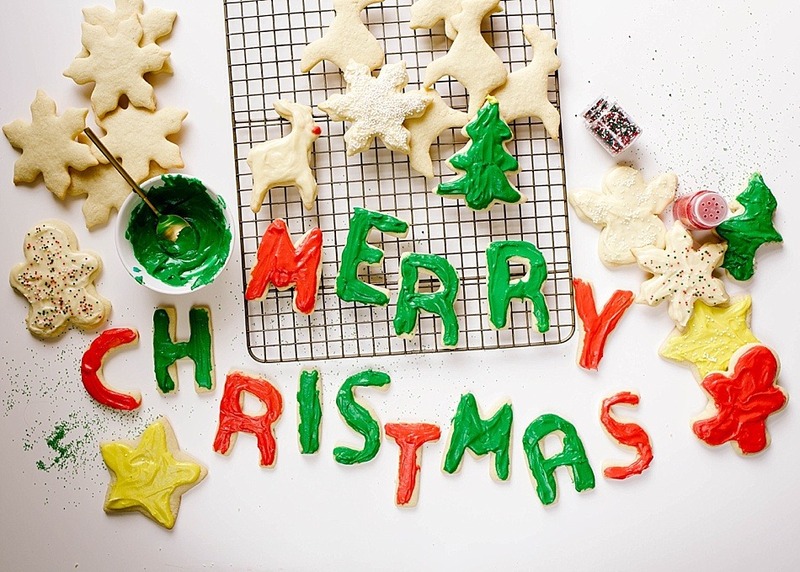 Love to you all and happy baking! 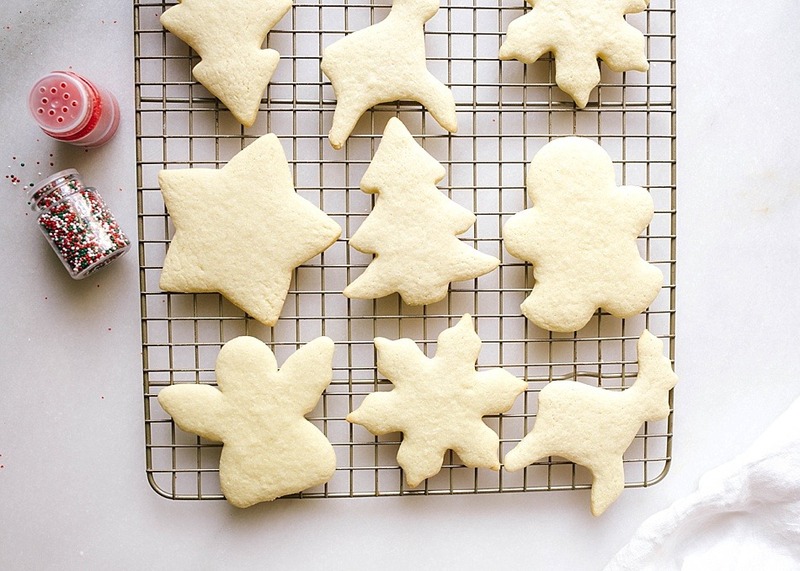 These soft frosted sugar cookies are light and fluffy, perfect for cutout holiday cookies. The frosting is a creamy buttercream that can be spread and sprinkled! In the bowl of a stand mixer or a large mixing bowl, combine the butter and sugar, creaming on medium speed until the mixture is light and fluffy, about 2 minutes. Add the eggs, vanilla, and milk, and stir to combine for an additional 30 seconds. Scrape the sides of the bowl. In a separate bowl, combine the flour, cream of tartar, baking soda, and salt. Add the dry ingredients to the butter mixture and mix slowly until well incorporated. Scrape the sides of the bowl as needed. Divide the dough into two flat rounds and wrap in plastic wrap. Chill in the fridge for at least 1 hour or up to 3 days. When ready to bake, preheat the oven to 350 degrees and prepare two pans by lining them with a sheet of parchment paper or silicone baking mats. Generously flour a work surface and roll one round of dough out to 1/8-1/4” thick using a floured rolling pin. 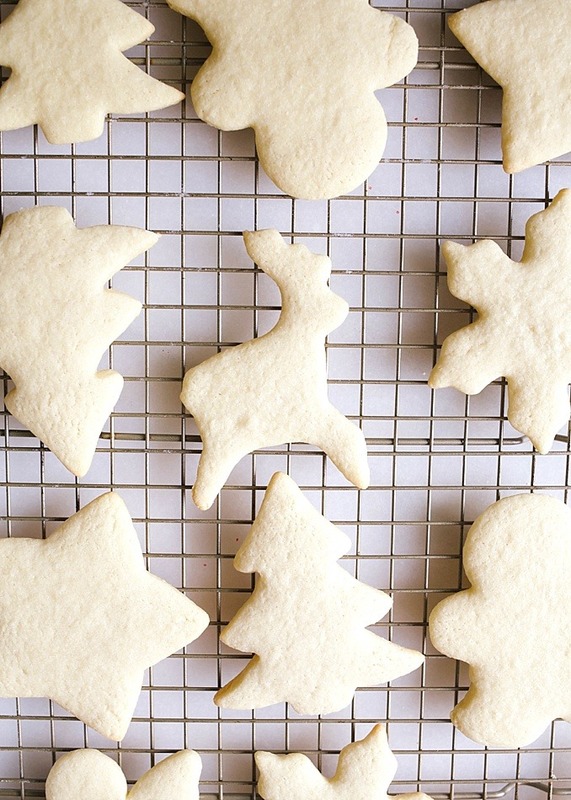 Use medium-sized cookie cutters to cut out shapes of dough and place them 2” apart on the prepared pans. Place the whole pan in the freezer for 5 minutes (or fridge for 10) to set the shaped dough and then bake in the oven for about 10 minutes, or until the edges of the cookies are well-set. Allow to cool on the pan briefly and then remove to a cooling rack to cool completely. Repeat this process with the remaining dough. Try not to get the dough too-floured or overworked as this can change the texture of the cookies. If your dough gets too warm or sticky, place back in the fridge to chill a bit. In a large bowl, combine the butter, sugar, egg, vanilla, and salt, mixing until well combined. Add milk by the tablespoon until the frosting is thick but smooth, similar to the consistency of a thick cake buttercream. 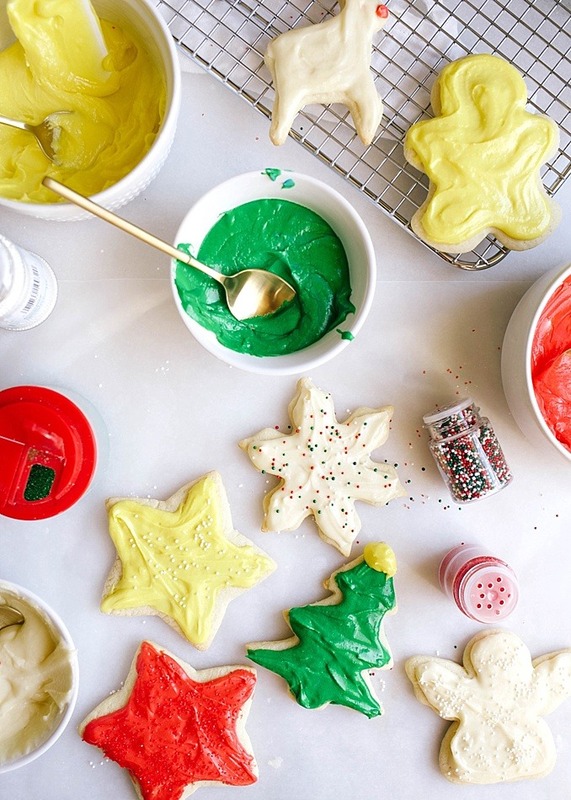 Use gel food coloring to dye the frosting and a knife to spread the frosting on the cookie. Enjoy! Parchment paper isn’t necessary but helps the cookies keep their shape. Pasteurized eggs are key for enjoying this frosting safely! Admittedly, I’ve prepared the frosting without pasteurized eggs a million times without any “trouble,” but to be food safe, you’ll want to get them anyways. The frosting recipe makes a modest amount. If you want to have generously frosted cookies or quite a bit of extra to play with, double to recipe to be safe. Hi Kate, my nutrition-minded daughter introduced me to your site. I am known for my chocolate chip cookies, but not so festive looking this time of year! I made your sugar cookies, and because of your recommendation and put them out for the family to decorate after church on Christmas Eve. You got me at “While not perfect or the prettiest or frilliest or most impressive…” My family was convinced with their first bite – “you made these?!! So good!” Thanks for keeping your promise! this is terrific news!! thank you for sharing this. I love it when people have good success and enjoy something that is so near and dear to me. Happy baking and happy new year!! What a beautiful tribute to your Mimi! Love this! Oh, wow your story reminded me so much of my grandmother’s act of love during the holidays. You brought tears to my eyes and a smile to remember her this way. I can only hope I am making these types of memories for my family! Thanks for sharing such a beautiful story in your post! These look so incredible! AND delicious! What a lovely and thoughtful gift you could give in this cheerful season! 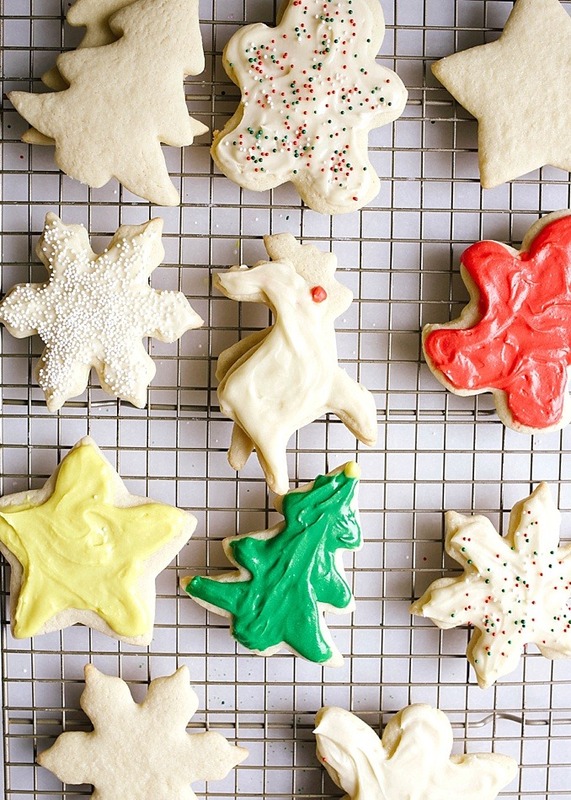 These are the most perfect looking sugar cookies! I just made a batch this weekend but yours look so much cuter 😉 Definitely saving this recipe for next year! ohhh, enjoy yours and I hope you’ll keep these in mind for next year! You bet you are filling their little tanks – and you are so right that these occasions make a difference. Traditions are made from doing certain things at certain times, and cause you to say, years later, “remember when we always did…………?” and laugh, and remember who was there with us. Even if sometimes we didn’t really want to, we knew we were included in the circle. Haven’t tried the recipe yet, but I give you 5 stars for your insight! Bake on! This is precious, Kate! Thank you for sharing the story and the recipe. I can’t wait till Mimi and Papa get here so we can get these cookies off the table and into our bellies once again! Love! right!?! ohhh and Aimee girl is going to LOVE LOVE them.